Supports healthy body composition. Aids in weight loss. Increases metabolic rate. Reduces body fat. Reduce fat – without reducing muscle. MusclePharm CLA Core is a naturally-occurring fatty acid found in meat, diary, and safflower oil. Research suggests that this may help to reduce body fat and increase lean muscle by reducing fat cells' ability to accumulate fat. 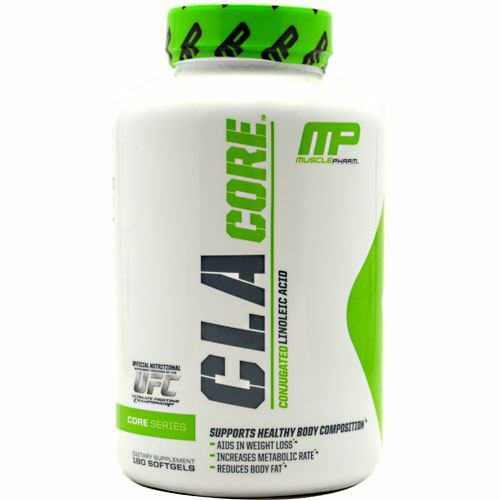 MusclePharm CLA Core is the highest quality, purity-and potency-conjugated Linoleic acid (CLA) available. It's formulated to fit the fat-reducing, lean-muscle maintenance needs of an individual. * *When used in conjunction with a healthy diet and exercise program.